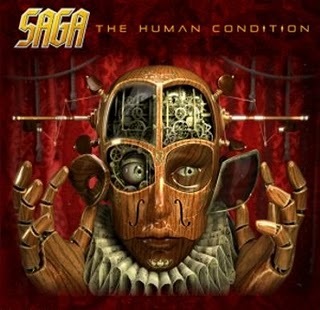 So for all of you out there who are wondering how a Saga album without the voice of Sadler sounds, this one is for you. 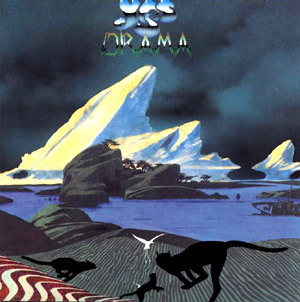 In everything this is another great Saga album. Just the singer´s voice sounds strange. Oh no, that is where we started. All fun aside, of course Rob Moratti is a competent singer. Coming from a more melodic rock background, his keen ear for melodies is a valuable addition to the already impressive song writing abilities within the band. If you have been following the career of Saga, then you will know that in recent years they have gone from strength to strength, releasing a number of albums that are on par with all the classics from the past. But as I am quite fond of all their output, counting their concept album Generation 13 as one of my fave´s, you might not want to take my word for it, LOL. This CD sits comfortably amongst their catalogue. Strangely familiar so to speak. The title song is musically songbook Saga, but has minimal vocals. Step Inside is typical Saga, albeit with a different voice (duh). Hands Of Time has a different approach than we are used to, sounding almost like a rock ballad, but is nice nevertheless. To conclude, no one is pretending to be something they are not. Saga is Saga, a good singer is a good singer. The combination works for me. This singer first came to my attention in the radio show Progressive X Grooves from Pieter van Veen, who also featured my band Chinawhite at the time. It sounded promising, so I was very glad Sandra from Sky Rocket Records popped a disc in the post for me. And even better, I was immediately hooked to this album. 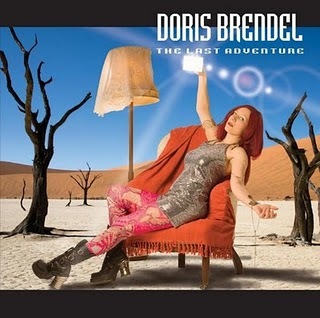 Doris has a wonderful warm voice with just that little edge I like so much. And while the music is labelled as classic prog, I think that is selling it short. The prog tag is probably caused by the way the songs are approached and arranged, but I think that any serious rock or adventurous pop fan will find this a worthwhile addition to the collection. The songs are fairly short, with all but one ranging between 3 to 4 minutes. Yet every song counts. Melodies are instant, playing is impeccable. And just listen to Doris stretch her vocal cords on opening song What Are You Saying. Absolutely great! The regular use of Hammond and the inventive guitar playing is not hurting either. And despite the songs being short, the arrangements are impressive and very inventive. I like that a lot! So I will just say this: pick it up, you won´t be disappointed. By the way, I also see it advertised with a different front cover, but don´t know about that. Personal play tips: best enjoyed as a whole. 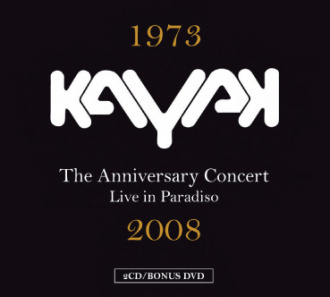 The subtitle of this package (2 cd´s and a DVD) is 1973 – 2008, Live in Paradiso. For those of you who don´t know, Paradiso is a concert hall in Amsterdam, situated in a former Church. A nice hall! So from the start we know that Kayak celebrated their 25 years of existence with this concert. And what a concert it was. From the go you get the feeling you missed something if you weren´t there. And I wasn´t, so boy am I glad to be able to listen to this! A lot of tracks are from the more recent albums, and all well executed. I think their use of male and female vocalists really works well for them. There is a lot of variation between the songs, but even the most quiet pieces are awesome. What a feel. And as they use 2 guitar players now, this sure rocks when it needs to. Time flies by listening to this, and repeated plays are welcomed. So this is quality folks. This is a stunning show with only highlights. To put it simply: if you like Kayak, buy it. If you once liked Kayak, but are not sure now, buy it anyway. If you think they don´t rock, buy this to prove you wrong. 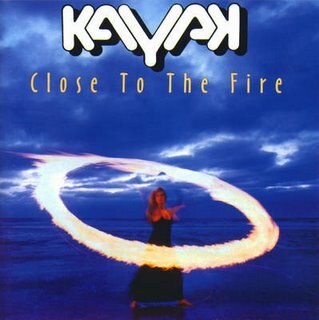 In my earlier post about Kayak I already mentioned purchasing more albums from them. 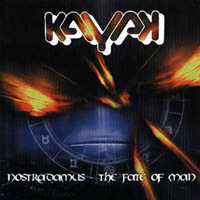 So now it´s time for their 2005 opus Nostradamus – the fate of man. Considering the work of keyboard player Ton Scherpenzeel in Dutch theaters, it is not strange that you will find a lot of variety on the double disk. The opening is musical like, with choirs singing and all. And truth be told, they pull it off greatly. You will have understood this is a concept album about the (in)famous French prophet. At times a storyteller is used, though I must confess I am not all too keen on that. It´s not that it is bad, it´s just not my cup of tea I guess. As said, there is a great variety between the songs at hand. Luckily I don´t feel the story is interfering with the music. 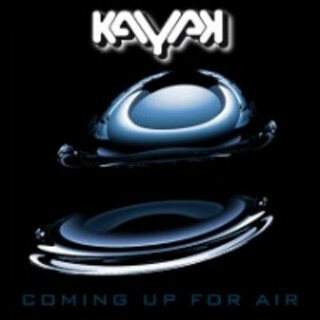 A lot of the music is typical Kayak. If you know and like them, this means you will like this as well. Several lead singers (male and female) can be heard. They personify different characters in the story. Some songs rock, some are very subtle, you hear influences from for instance Irish Folk, and it is always melodic. All done with care and competence, without becoming all too predeictable. These guys and girls are too experienced to let things get out of hand. All in all an album that will grow on repeated play, so buy it when you are into classic prog. Personal play tips: Friend of the Stars, Pagan´s Paradise, The Inquisition, A Man With Remarkable Talent, The Flying Squadron, The Centuries. This is the second album I bought from this band. The first being Man In The Moon from 1980. Gives away they have a long history. I don´t know much about that alas, so let´s concentrate on the music. I must confess I don´t think the vocals are their selling point. But they don´t spoil everything either. Just kind of regular, nothing special really. A good thing they use harmony vocals to spice things up. Musically speaking Nektar has a lot more to offer. Nice melodic guitar solo´s, competent musicians, and even the odd organ. A pity they use it rather cleanly. 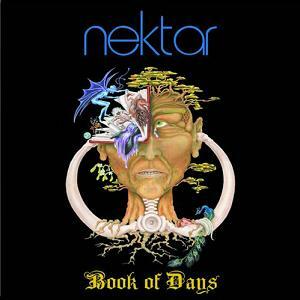 But fans of classic prog can rest ressured, Nektar offer songs with light and shade, time changes, clever arrangements, etc. And they keep it melodic, so all in all it is a positive affair. I do think this album will grow on me over time, but that is always a good thing. Personal play tips: Lamorna, Doctor Kool, The Iceman. Ahh, a controversial album among the Yes fanbase. Must confess I never really understood why! Trevor Horn sounds a lot like Jon Anderson, and musically this is typical YES. Or is it just because the little big man isn´t the one singing? Mmhmm, lets see. This remaster has no less than 11 bonus tracks. Some of which are heavy bootlegged. Of were, as of this release I guess. From the original album I love all songs, so no favorites there. The bonus tracks feature single versions of Into The Lens and Run Through The Light. (BTW, Trevor Horn did another version of Into The Lens, together with keyboard player Geoff Downes, on the second Buggles album called Adventures in Modern Recording. They called it I Am A Camera, which is the subtitle here.) But in my opinion they add little value to the original album. Other bonus tracks are session recordings. This leaves us with 6 other unreleased songs. Have We Really Got… is a studio jam at best. A rough sketch of what could become a song. Same applies to Song no 4. No lyrics or vocals, just instrumental. Dancing Though The Light is Run Through The Light but in a strange dance like fashion. What were they thinking here? The remaining 3 songs are taken from a 1979 recording session with Jon Andersson and Rick Wakeman present. As the booklet so nicely states, something wasn´t feeling right, so they left… Still, these songs are recognisable Yes material. Just rough, but keep in mind they were working on this material at the time. Being a Yes afficionado myself, I did enjoy hearing these tracks. And as this remaster is available at a bargain price, you should get it if you don´t already own it on CD. I think the 6 songs that form the original Drama release are worth it! 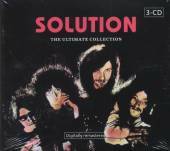 Yesterday and today I spent my available listening time to the 3 CD package that is The Ultimate Collection by Dutch classic prog band Solution. It had been sitting on my want list for quite some time, so I was very anxious to find out how it would work for me. The first disk was the hardest to get into. It is mainly instrumental music, with a lot of sax. Musically very challenging and competent, but takes more time for me to digest. Disk 2 weighed a little less. Some beautiful melodies and also vocals. Makes it easier to enjoy. The 3d disk is labelled as a bonus disk, but is the most interesting for me. Not only because it contained the only songs I knew before buying this set, but also because this is the most melodic side of Solution. Hey and finally some guitar solo´s! Maybe because a lot of material on this disk is live. It just seems to have a touch more power behind it. The material on these CD´s sounds excellent, a remastering job done well. Especially considering the time table; 1971 – 1983.